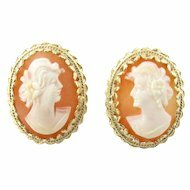 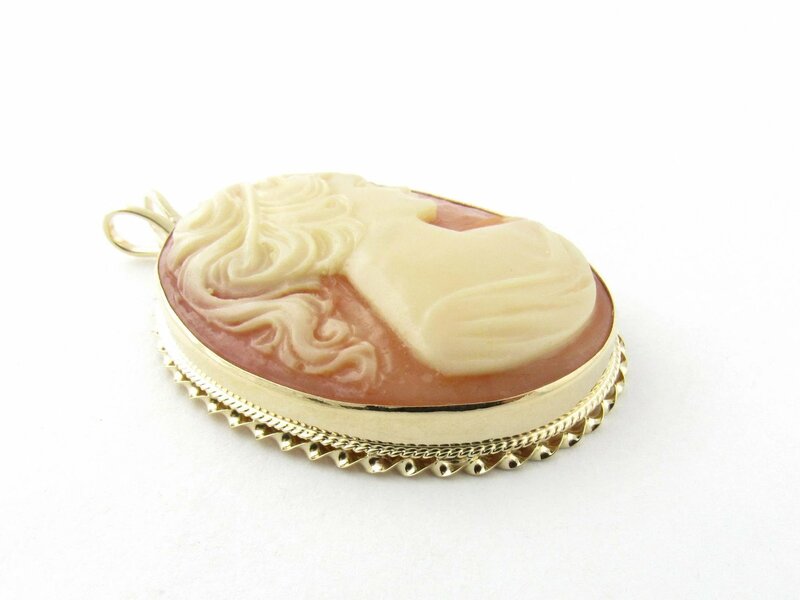 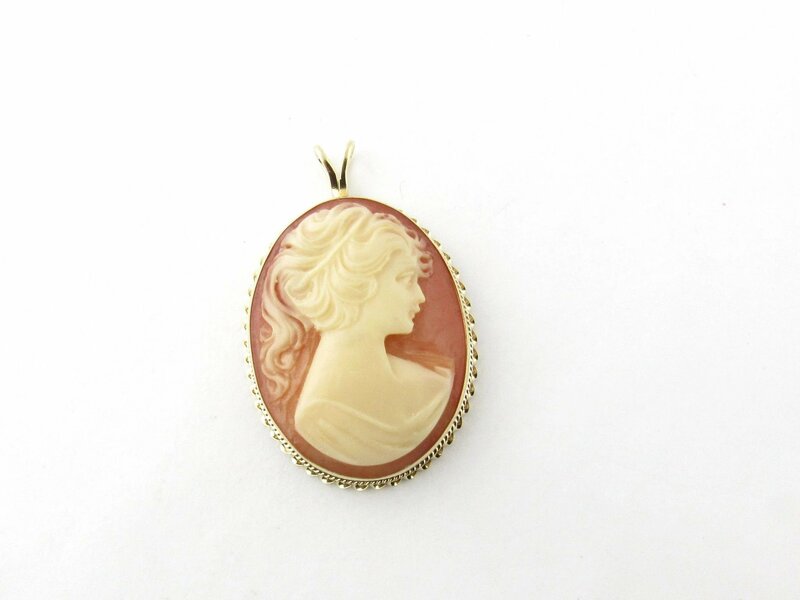 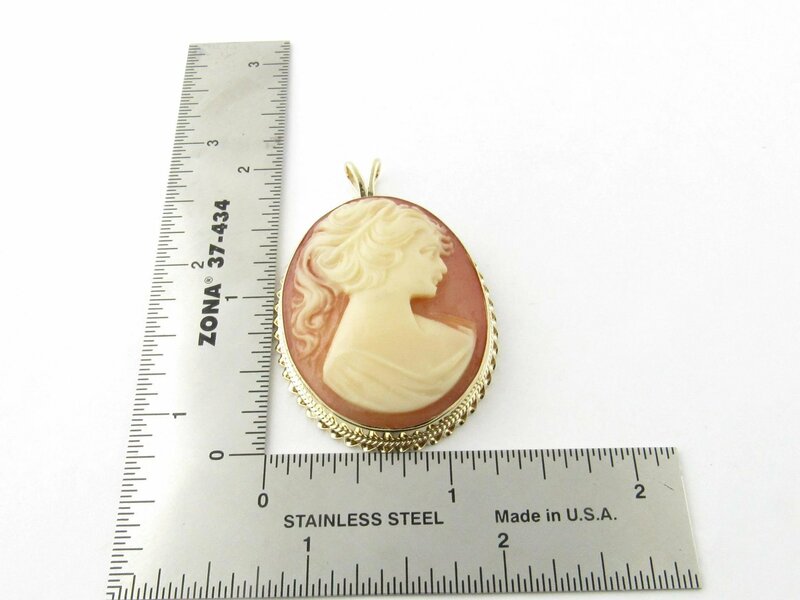 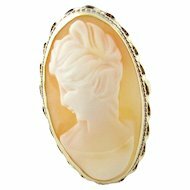 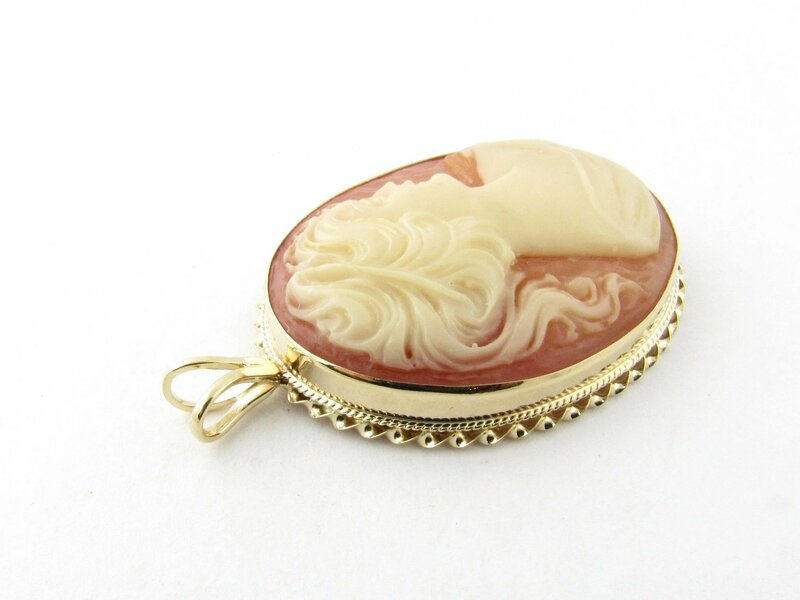 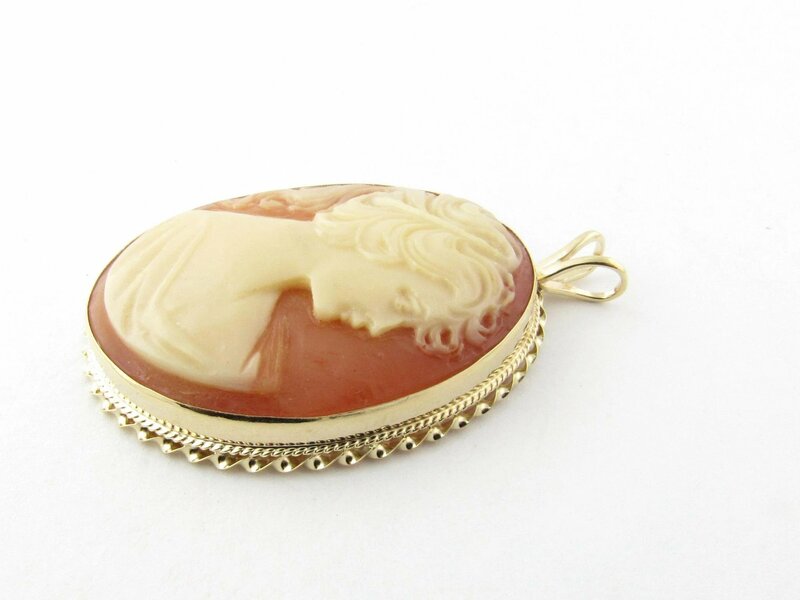 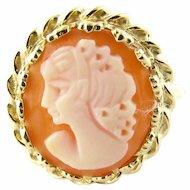 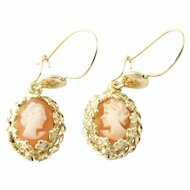 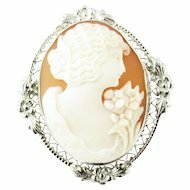 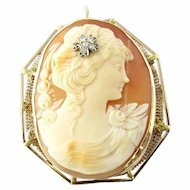 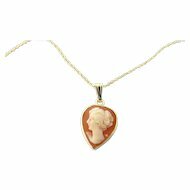 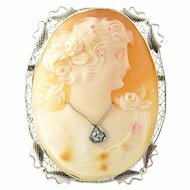 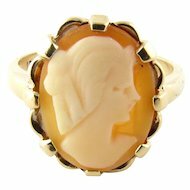 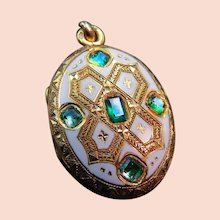 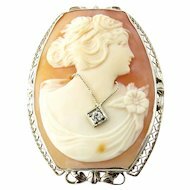 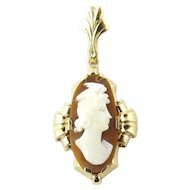 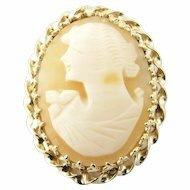 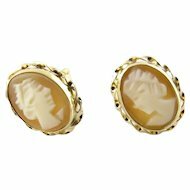 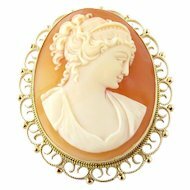 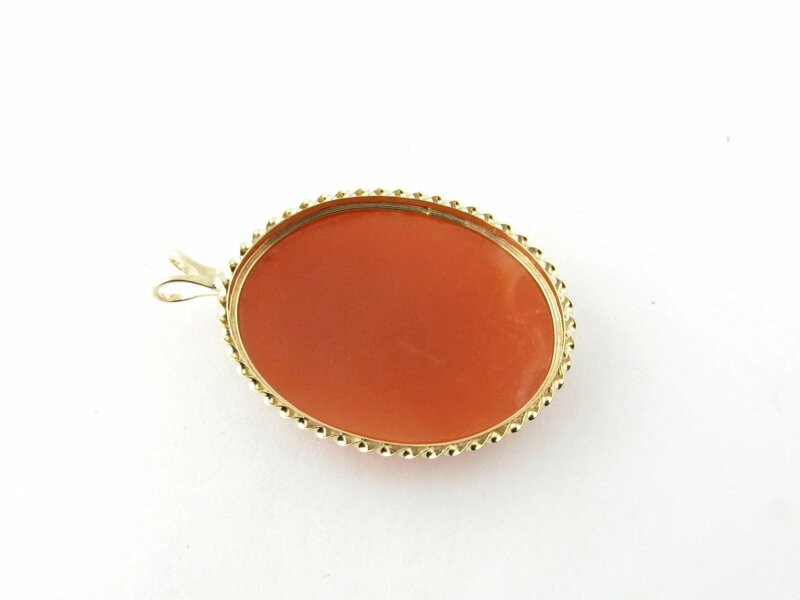 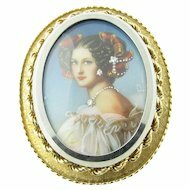 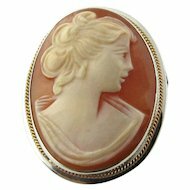 This stunning cameo pendant features a lovely lady in profile framed in meticulously detailed 14K yellow gold. 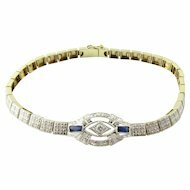 Weight: 5.0 dwt. 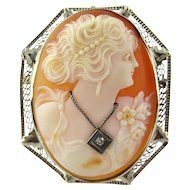 / 7.9 gr.